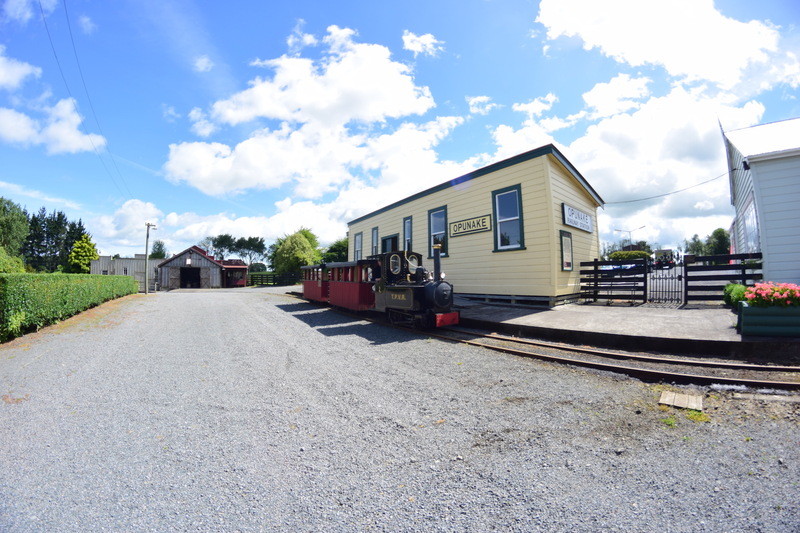 No visit to the Taranaki Pioneer Village would be complete without taking a ride on the ‘Pioneer Express’ train. A popular way to view the complex it encircles the property. 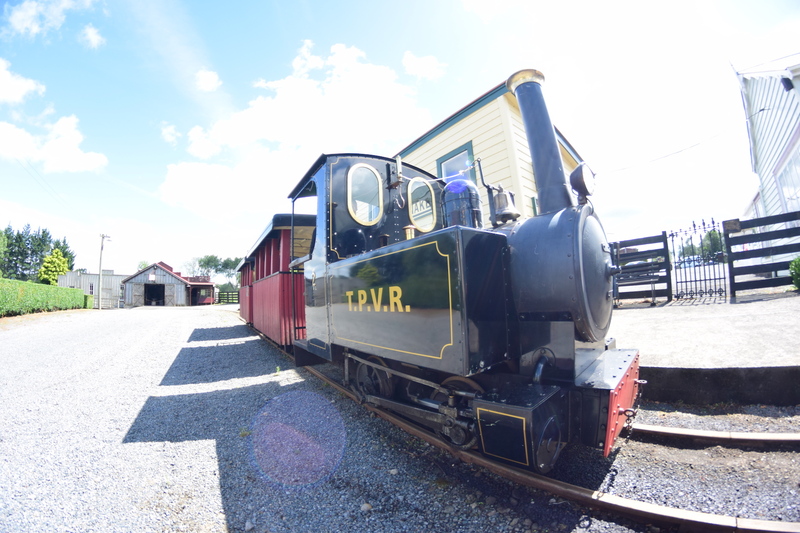 It circuits the village on a 24” gauge railway complete with authentic Steam ‘sounds’. 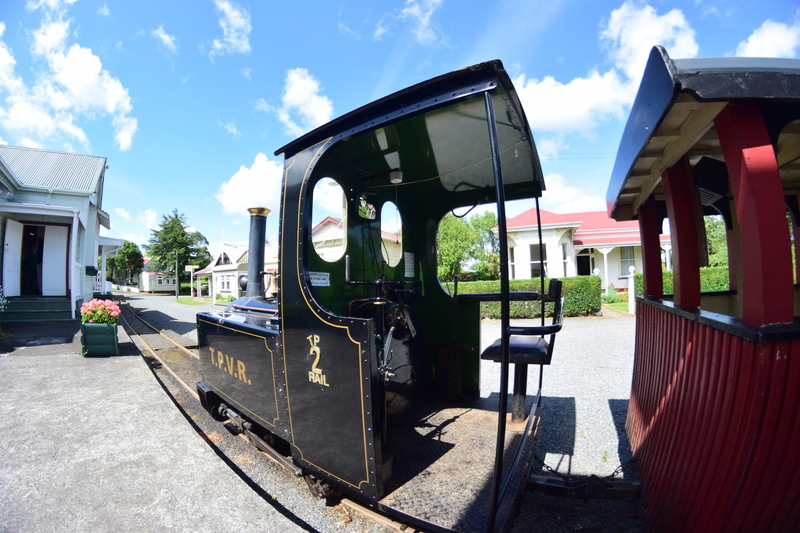 The ‘Express’ can carry 20 children and departs from the refurbished Opunake L19251 Railway Station. 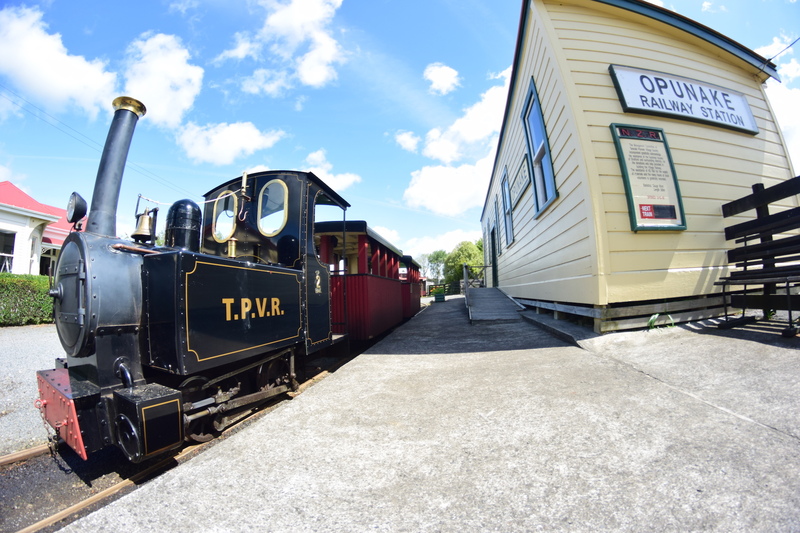 The picture above shows driver Peter Webb with his innovative railway turntable on hoist.